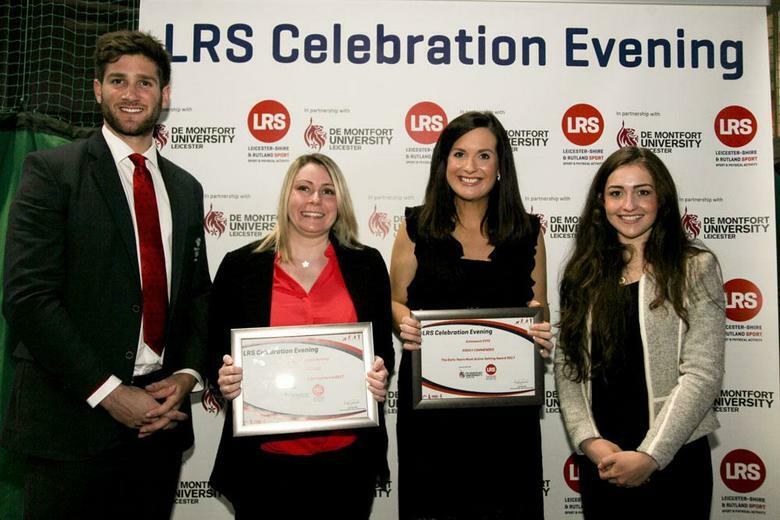 Our Early Years Foundation Stage class was shortlisted and then received a 'Highly Commended' award for Leicestershire and Rutland Sport's (LRS) 'Most Active Setting Award' at their inaugural Celebration Event held on Thursday 9th February at the Leicester Arena. This award is for those Early Years settings demonstrating that they are committed to promoting the health and well being of its children through excellent implementation of Purposeful Physical Play (PPP) in an effort to get their children moving. Class teacher Hollie Smith and her team was shortlisted for the award for their use of weekly forest, swimming and multi-sensory sessions and visits into the local community as a means of promoting the physical health and well being of the pupils in their class. Pictured below is Class Teacher Hollie Smith (third from left) collecting the award.